Created by Finnish-American industrial designer Eero Saarinen, the TWA Flight Centre at New York’s John F. Kennedy Airport is the height of modernist architectural grandeur. Opening in 1962, the terminal building received landmark status in 1994, before closing in 2001 to much dismay, with a fight to save the building from conversion ensuing. Fortunately, nothing of the above took place. And now, the TWA in all its mid-century glory is set to re-open on 15 May this year as the TWA Hotel; but not before Louis Vuitton’s Nicholas Ghesquière could get his hands on it, with the brand set to unveil its 2020 cruise collection under the building’s sweeping, curvilinear roof a week prior. “The TWA Flight Center, a sheer evocation of travel itself, is inherently linked to Louis Vuitton’s commitment to exclusive architectural discoveries, to its art of travel, and represents an ideal close to Nicolas Ghesquière’s inspirations,” said the fashion house in a statement released today. Indeed, Louis Vuitton is no stranger to utilising prominent buildings as the backdrops to its resort collections. In 2017, it was the breathtaking Miho Museum in Kyoto, Japan that welcomed a collection inspired by designer Kansai Yamamoto; the following year, the 1964-opened Fondation Maeght in the south of France played host to Cruise 2019. 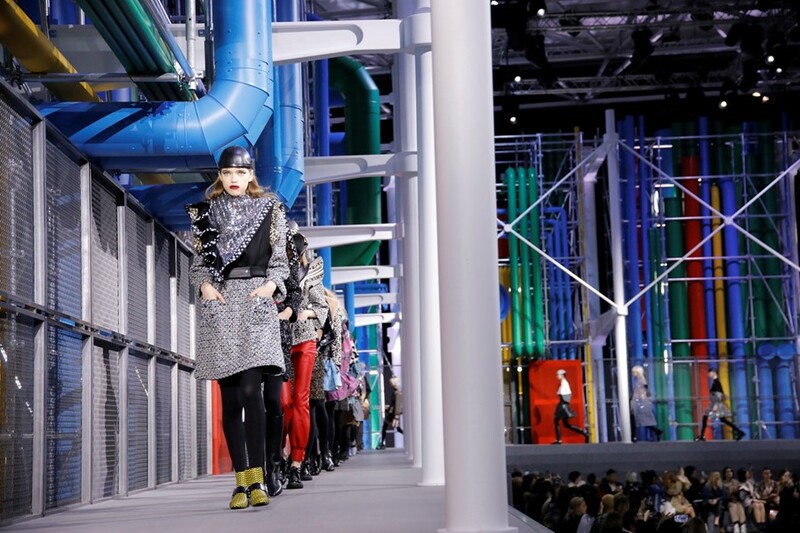 (Their ready-to-wear shows are similarly breathtaking: for A/W19, they recreated the Centre Pompidou’s multi-coloured exterior in the Louvre’s Cour Carrée.) New York is also the city that Prada has chosen for its next cruise show, with Gucci opting for Europe – Rome to be precise, Chanel staying in Paris and Dior flying out to Marrakech. Louis Vuitton Cruise 2020 will take place on 8 May.